If you are maintaining or in charge of a commercial office building, one area that seems to be a constant struggle is with keeping the building itself secure. The standard locks that take a key system often work well for residential homes but are not as good of an option when it comes to a commercial building. There are several other options when it comes to securing your office with different kinds of locking systems. The great thing about all these other options is that you can choose what type of system will work best for you and the needs that you have. 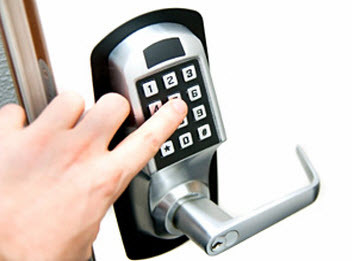 Best Locksmith lists several door lock option systems for your commercial building. Keypad: One way that you can secure your office or commercial building is to have a keypad installed on your entry doors. The great thing about this type of system is that you can secure the doors without having to keep track of keys. You can assign a code to each person that you want to have access and you can keep track of the use. It is also a great way to stop access if you ever have a reason that you need to. The codes can be set to allow access only during certain times and can restrict access to other areas of the business as well. The keypad can be protected from the weather and is able to work well in any environment. You want to make sure that you have your keypad installed by a professional locksmith and have someone in the office trained to be sure that you know how to set each code and track the use. Card Reader System: Another system that you can have installed is a card reader system. The system uses a card reader at the entry points and the person that wants to have access is given a card that can be slid in the device and open the door. The cards need to be assigned and activated by the manager of the system. The card will then give that individual access to the building when you allow them the use of the card. You can stop access to a specific card and turn it off if you have someone lose or misplace their card. The card system should also be installed by a professional locksmith and they should also train the employees on the proper use. Lock and Key System: If you have a standard commercial business you may want to use a standard lock and key system. You can upgrade the locks to commercial style that are sturdier and less likely to be broken into. You can have the locksmith company make duplicate keys so that you have the amount that you need to hand out for employee use. The keys can be a Do Not Duplicate so that only the person with the master key is able to make more. 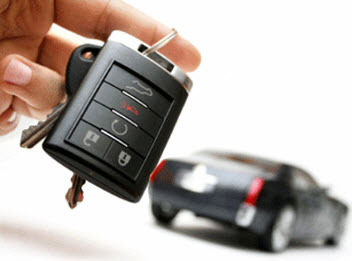 Commercial Locksmith Services in Racine, Oak Creek, Burlington & Kenosha Wisconsin. What is a Magnetic Cam Lock & is it the Right Installation Choice for My Home or Business in Kenosha WI? If you want to keep your home, office, safe and cabinets secured you have to be sure that there are appropriate locks on them. The lock has to be made for the area you are trying to lock up so that it functions properly. Many people don’t take time to call a professional locksmith and have their locks inspected to be sure that they are in good shape. It is a great way to make sure that you have a secure home and office. There are several kinds of locks that you can have installed to up your security such as a deadbolt but you may not have heard of a magnetic cam lock. What Is A Magnetic Cam Lock: This type of lock is one that you may see throughout some businesses on cabinets and cases. The great part about these types of locks is that they are produced to not be able to be picked. A magnetic lock is a system that works on magnets to open and close the mechanism and does not have an opening to insert a key. The great part is that there is no way to insert anything to pick the lock and it is also closed off to keep debris and dirt out of the opening as well. Another plus is that you can have them installed and they are close to the cabinet or case so that you will have less chances for people to bump into it. The key part of this mechanism is a magnetic key that is attached to the front of the lock and that will engage it and it can be opened to allow access to the area you are trying to get into. Where Can A Magnetic Cam Lock Be Installed: These types of locks area added to cabinets and cases that you want to have secured. They are not made to put on an entry door or a window. They are great for those cabinets that you are keeping specialty items such as sports memorabilia or things you want to display. In a business you have areas that you display items such as jewelry or other sensitive materials. The magnetic lock can keep any cabinet or case closed and secured so that someone cannot open it and get into it unless you want to allow them access. Best Locksmith offers lock installation in Racine, Oak Creek, Burlington & Kenosha Wisconsin. If you have a need for magnetic cam locks at your home or business call a professional locksmith to have them come out and install them for you. Keeping your commercial building or your home secure is a major concern to most people. 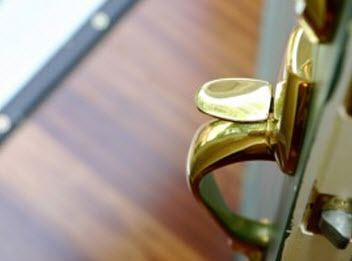 Where there are a number of different things you can do to better safeguard the contents of your business or abode, the locks and bolts are generally involved. Like many products available to the general public, there is a grading system. You can get a generic and standard item, upgrade it to a more involved and equipped one, or you can get the ultimate product that comes with the bells and whistles. Locks and deadbolts are no different. When considering the deadbolts to your castle or the master locks to your livelihood, it’s important to know how the grading system works. Best Locksmiths relate the three grades used in the grading system on locks and deadbolts. To begin with, ANSI is the organization that grades the locks and deadbolts. The ANSI is a private, nonprofit group – the American National Standards Institute. They administer voluntary performance standards for many products for builder’s hardware, including locks and deadbolts. Through a series of tests and operations, ANSI grades the performance, durability, and quality of locksets. There are 3 grades of certification ANSI bestows upon a product based on the test, basically ranging from good, to better, to best. – Grade 1 certification: The best grade, equates it to highest grade security, which is the strongest grade ANSI recognizes, perfect for commercial and residential use. To attain this rank, the door knob withstands a minimum of 800,000 cycles, 6 door strikes and 360 pound weight test. The deadbolt is cycled a minimum of 250,000 times and withstands 10 door strikes with a hammer. – Grade 2 certification: The better grade or a higher grade designed to deliver excellent security and durability for residential security. Ideal for home function and light commercial application. These knobs are not nearly as durable as the best grade is cycled a minimum of 400,000 times, 4 door strikes, and withstands a 250 pound weight test. The deadbolts withstand 150,000 cycles and 5 door strikes with a hammer. – Grade 3 certification: The good grade or the low grade ANSI provides is acceptable for basic residential security. This has the minimal requirements for residential door locks. This grade is recommended on secondary entry points, and should be avoided where primary doors are used. Door knobs withstand 200,000 cycles, 2 door strikes, and 150 pound weight test. Deadbolts are 100,000 cycles, and 2 door strikes with a hammer. Now with a basic understanding of the grading system provided by the ANSI, you can make better decisions on the quality of deadbolts and doorknobs. Whether you are trying to better secure your commercial business, or your residential home, ensuring you have dependable locking system to secure your home or business. Best Locksmiths locksmith professionals can help you find the most optimal graded, door knob, deadbolts, and locks for your home or business. Call us today and we can install them as well!